Although teeth can come through in any order, the most common teeth to appear first are the middle bottom teeth. Usually the next to arrive are the middle top teeth. What usually then follows are the teeth either side of the newly erupted teeth both top and bottom and the teeth beside them until a full set of twenty teeth have erupted into position. 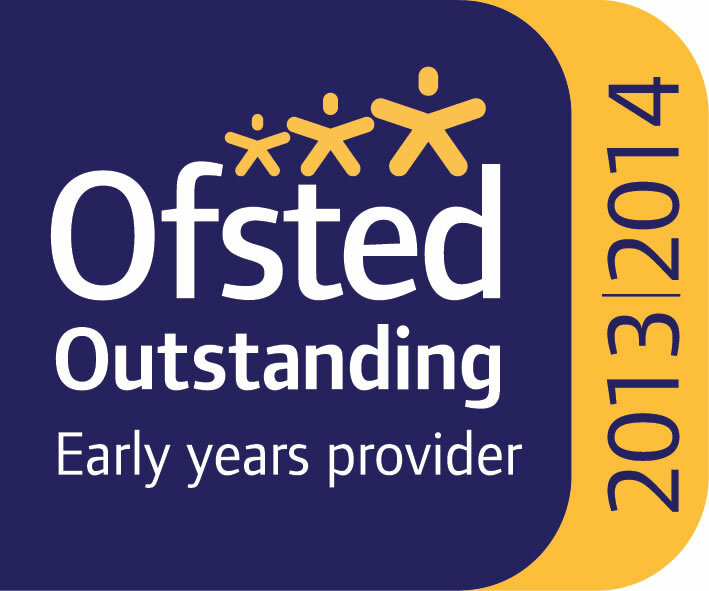 Normally on average you can expect your child to start teething at around six months and it can take up to two and a half years before all twenty have appeared. 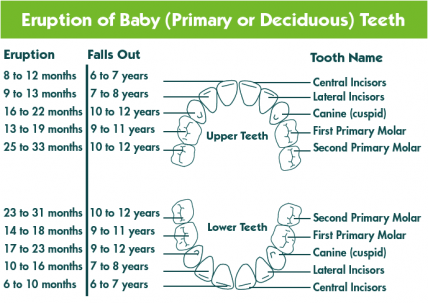 But, this is an average and some children start teething earlier while others may not see a tooth appear until they are 9-10 months old or even age 1. It’s important not to panic if they don’t appear until the child is almost 1. 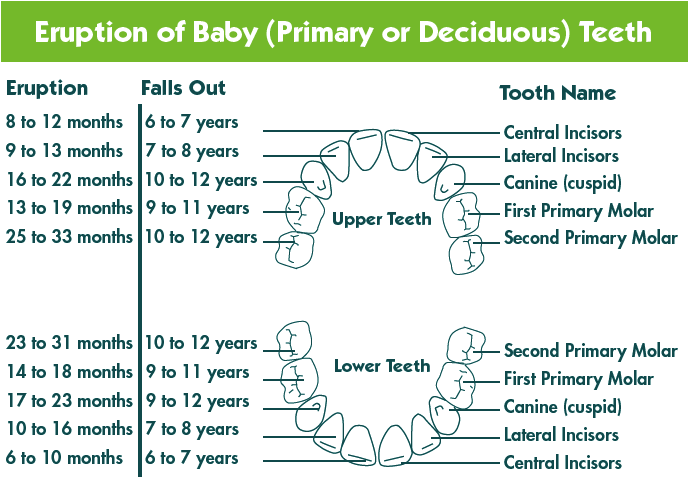 It is very rare for there to be missing baby teeth and they almost invariably appear before the child is a year old. Baby teeth are not expendable. They are important for chewing food properly and speech development and so it is important to keep them clean as soon as they appear. Good habits are best started early and getting your child used to having their tooth or teeth brushed as soon as possible reinforces that habit. Give your baby something hard to chew on such as a teething ring, breadstick. Teething rings can be refrigerated but should not be frozen. Don’t dip the ring in anything sugary and avoid rusks because of the high sugar content. Avoid juice in the bottle as this is both acidic and sugary and could damage your baby’s teeth. Wipe away dribbling to prevent rashes. Place a bib to stop your baby from getting wet clothes. Place some Vaseline to stop the skin getting sore. Play with your baby to distract them. Use sugar-free teething gel for babies over 3-4 months old. They often contain a mild anaesthetic. Apply with a clean finger to the sore area. Teething is very painful for your baby and an adult would not withstand the pain without some medication. Infant strength ibuprofen or paracetamol eg Calprofen or Calpol may help but be careful to not exceed the maximum dose. If bottle-feeding, sometimes a different shaped teat is more comfortable. If your child is teething and has nappy rash it is a good idea to keep food free from acidic food such as tomatoes, oranges etc… as this can affect the urine and this in turn irritates the nappy rash. Buy a baby size toothbrush and an infant toothpaste such as ‘Aquafresh Milk Teeth’. Place a small pea sized amount between the bristles, not on top like the adverts show. Then, gently massage the newly erupted baby teeth with the brush to remove plaque and get your baby used to having their teeth brushed. Do this twice a day as plaque will form over a 12 hour period without any food being consumed. Use of a dummy will over even a couple of years distort the baby’s upper jaw and push the upper teeth forward. This will make it more likely that braces will be needed for your baby. For more information contact Jeremy Bliss at Bliss Dental 020 8455 1171. Why Ipads could be ruining your family!